Stores commission exclusive covers for books all the time. It is awesome when they commission the exclusives and offer them at a low price. 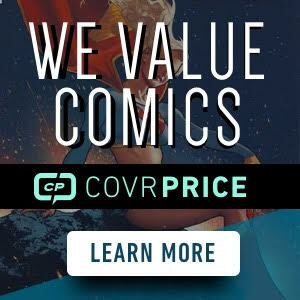 That is where the inexpensive variant alerts come in, spotlighting cool books at low prices. 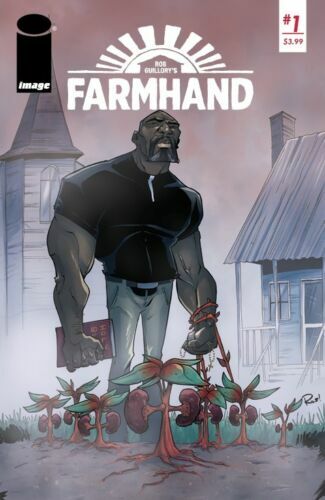 Farmhand #1 is a new Image series by Chew artist, Rob Guillory. I have had a chance to read issue 1, being a fan of Chew, and loved it. So what is Farmhand about? Jedidiah Jenkins is a farmer-but his cash crop isn’t corn or soy. Jed grows fast-healing, plug-and-play human organs. Lose a finger? Need a new liver? He’s got you covered. Unfortunately, strange produce isn’t the only thing Jed’s got buried. Deep in the soil of the Jenkins Family Farm, something dark has taken root, and it’s beginning to bloom. From ROB GUILLORY, Eisner-winning co-creator and artist of Image Comics’ CHEW, comes a new dark comedy about science gone sinister and agriculture gone apocalyptic. Nature is a Mother. 500 copies + Image + Guillory, $8.00 = why the heck not! It looks like this is part of a connecting cover between multiple shops for #1. Pair it up with this inexpensive variant, also a 500 print run! Also is the reason I look up the artists hometown anytime a new book gets heat. That’s a freebie to all of you out there. @ Cody…How did looking up his hometown benefit you? Rob will be at my LCS is the next week or two. Will have signed copies of Farmhand #1 available. What are the chances Dr. Manhattan was involved? I think it’s just simply typical Catwoman and not very typical Bruce Wayne/Batman. Yeah, could we maybe get an article on that guys? Yeah. It’s been covered but still going to do one. 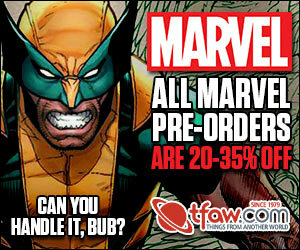 I didn’t pre-order this, but I will grab a copy or two.